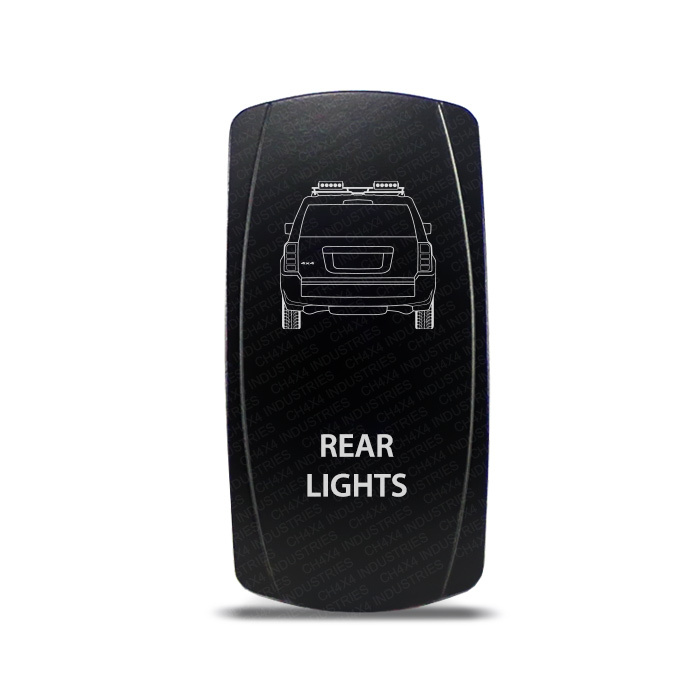 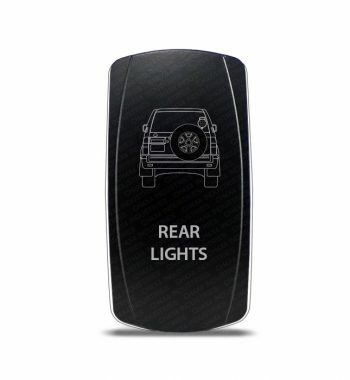 CH4X4 Rocker Switch Jeep Patriot Rear Lights Symbol 2 is a single throw ON – OFF switch designed to operate your 12 volt accessories or devices..
CH4X4 Rocker Switch Jeep Patriot Rear Lights Symbol 2 is a single throw ON - OFF switch designed to operate your 12 volt accessories or devices. 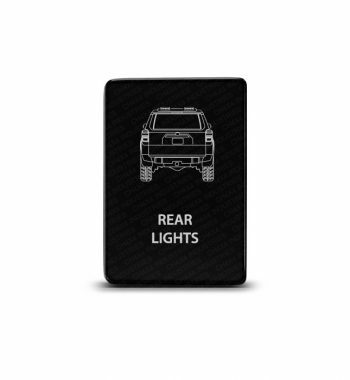 Our Switches have many applications, from turning ON and OFF lights to powering winches, air horns, freezers, cooling fans, winch power, and even zombie lights. 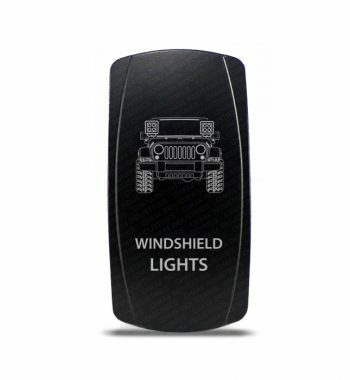 All symbols are laser etched directly onto the switch face to ensure long lasting image life. 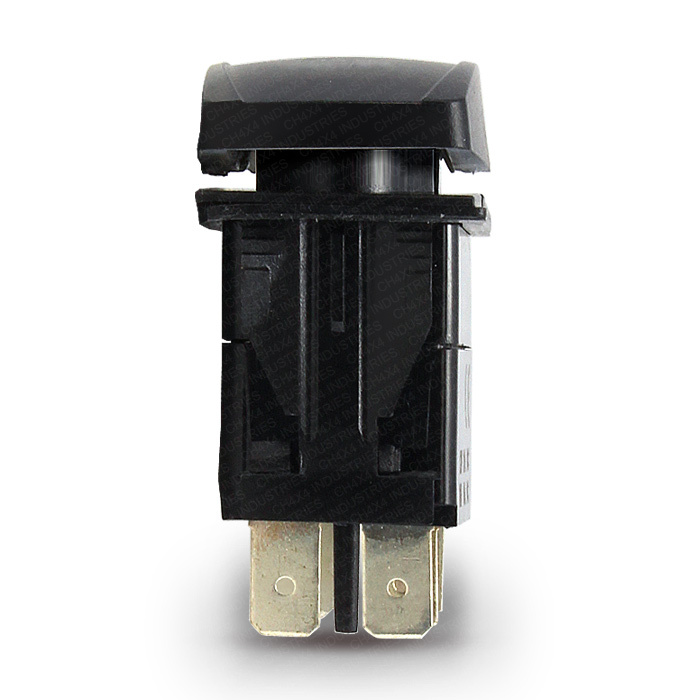 We do not use stickers, paint or ink in our switches, which will wear off in a very short time, this also gives the switch a more styling and clean design. 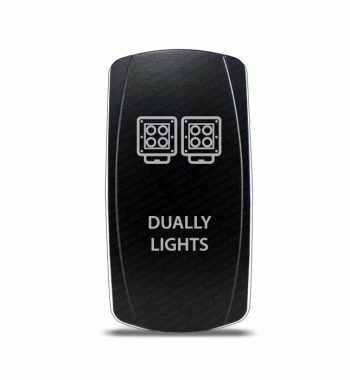 These switches have a surface of 2” (50mm) x 1” (25mm) and they use a standard din size mounting hole of 1.50” (38mm) x 0.82” (21mm); these are the standard size measurements. 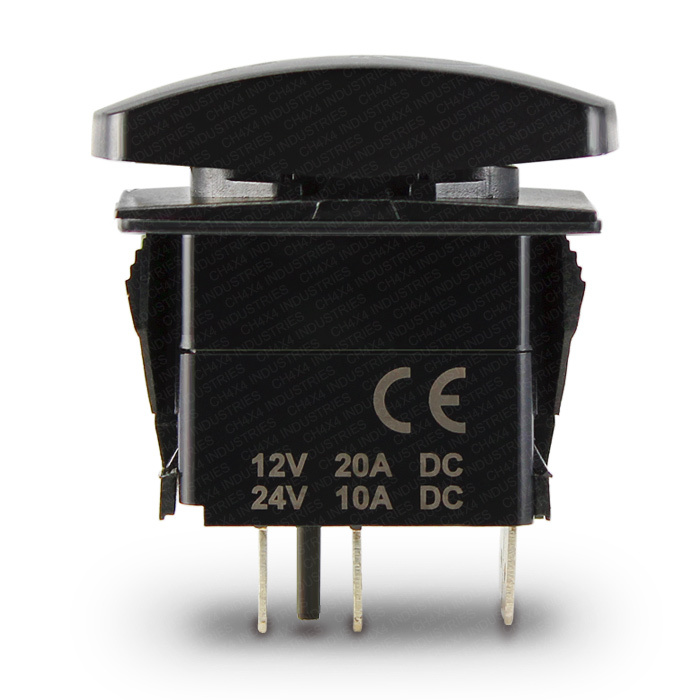 Our switches come packed with instructions on the back of each of them and we also have our technical support staff here to help you. CH4x4 Rocker Switch Flood Lights Symbol is a single throw ON - OFF switch designed to operate your 12 volt accessories. 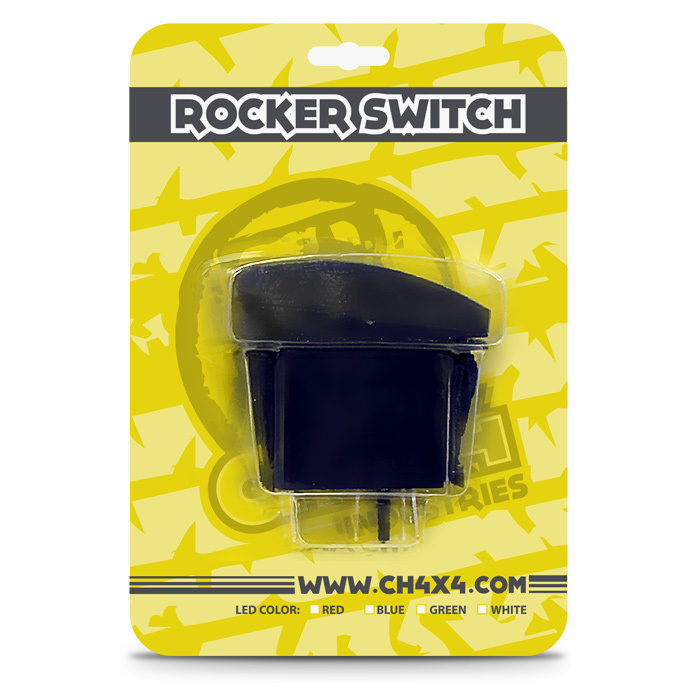 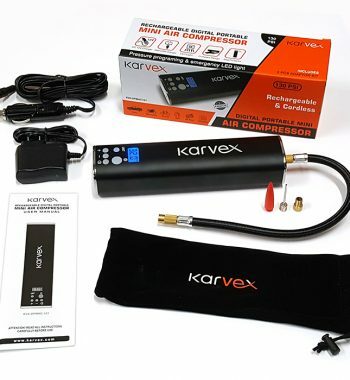 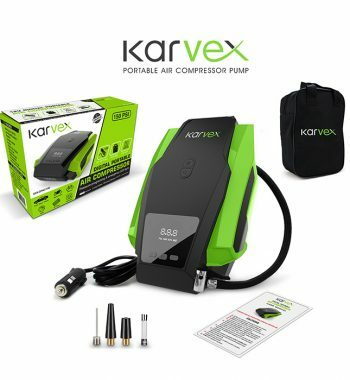 CH4x4 Rocker Switch Air Compressor Symbol is a single throw ON - OFF switch designed to operate your 12 volt accessories. CH4x4 Rocker Switch Toyota FJ Cruiser Off-Road Lights Symbol is a single throw ON - OFF switch designed to operate your 12 volt accessories. CH4x4 Rocker Switch Vampire lights Symbol is a single throw ON - OFF switch designed to operate your 12 volt accessories.